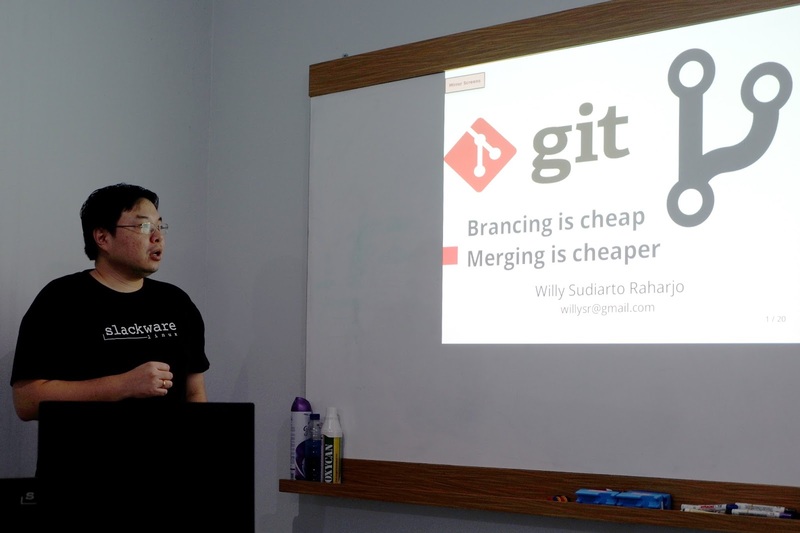 This morning, i got an opportunity to share some knowledge about git branching and workflow management to Technopartner Indonesia, a company founded by Guntur Satrya Saputro. 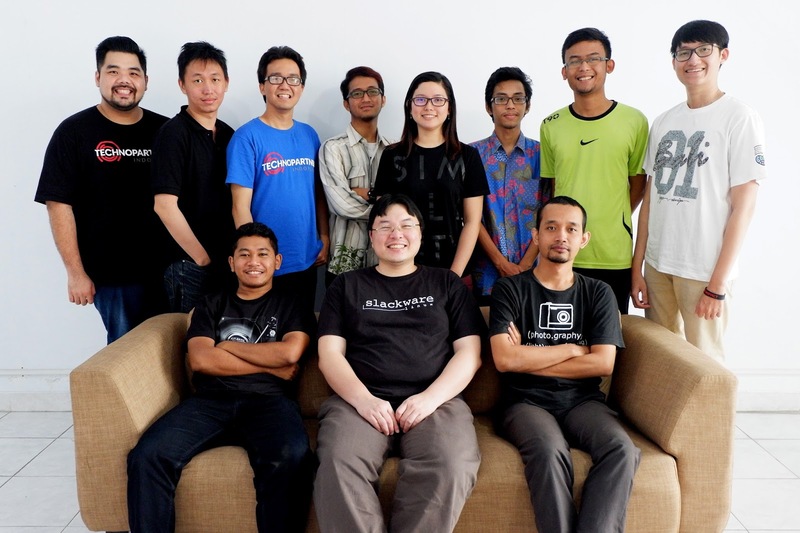 Although today is national holiday in Indonesia, but most of the staff were attending this short tech talk. Most of them were my students so it was teaching them again after few years they graduated. We started at 9 AM and since most of them knew about GIT and have been using it, so i skipped the basic of GIT and jump to the git branching feature and i also showed them some real examples on how to do branching, merging, interactive rebase, and many more. I mostly use SlackBuilds project as an example with some example from other open source project like sbopkg, mate-desktop, and of course Linux kernel. We ended the tech talk in 11:30 AM. It took longer than what i predicted. What's more important is not about the tool, but how can we utilize this tool to help our work, so i strongly advice them to decide their own workflow and apply a strict policy about some best practices, like coding standard and commit message. It's a simple thing, but it really helps others when working in collaboration. I was grateful that i joined and contributed to many open source projects before so i learned this naturally. I remember i started to join the OpenOffice.org community and started to learn about CVS with lots of help by the community. Later on, i joined SBo project and learn more about GIT. By working hand by hand with the community, you can gain more.